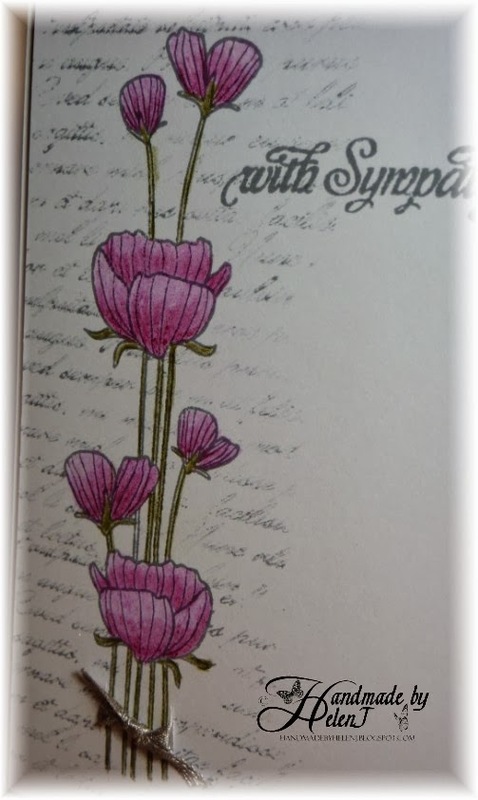 Sympathy cards are so difficult but I always think poppies are quite appropriate. This was coloured using dry Derwent Inktense pencils blended with a blender pencil, then masked so I could do the background stamping. I never intended the script stamp to be so patchy but my first attempt, using the first generation ink, was too dominant so I decided the second generation ink would be better. I'm entering this into this week's challenge at Keep It Simple, where the theme is text. Lovely card, Helen! 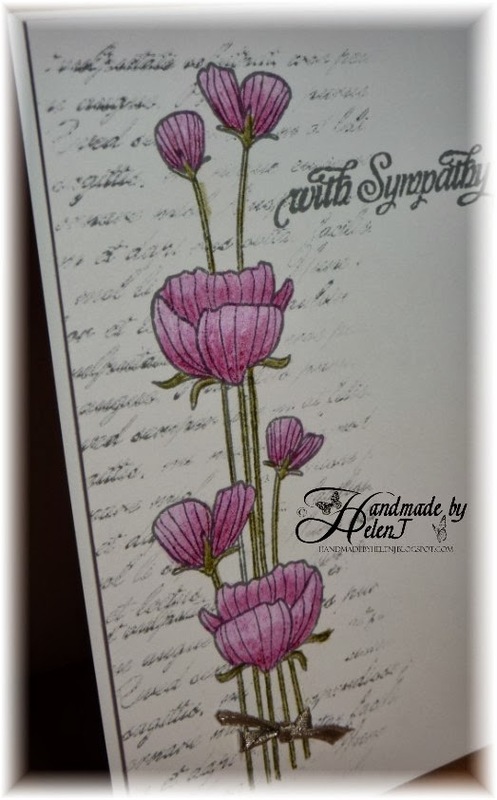 It's especially fitting for the OLS Challenge since sympathy cards are always easier to make when you don't need them. This one is soft and sweet and pretty! Love the look of this card and the patchy text looks perfect and as though thatwas what you intended. I LOVE this card!! 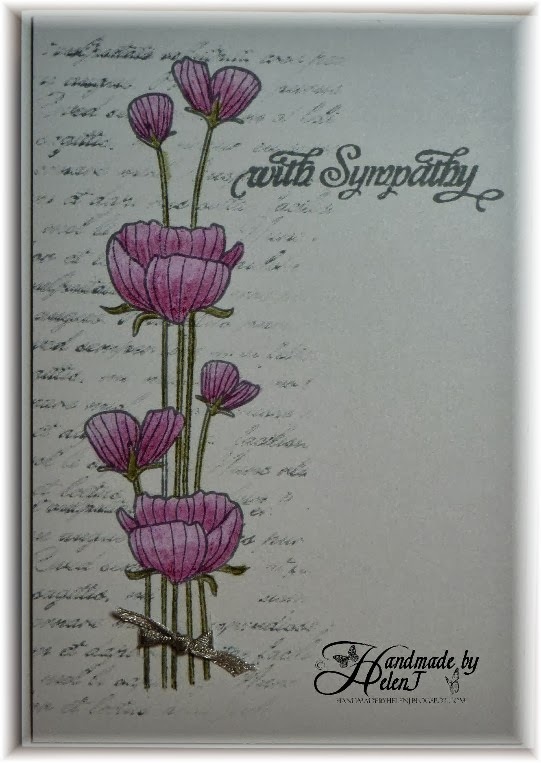 so beautiful, unfortunately a perfect sympathy card!